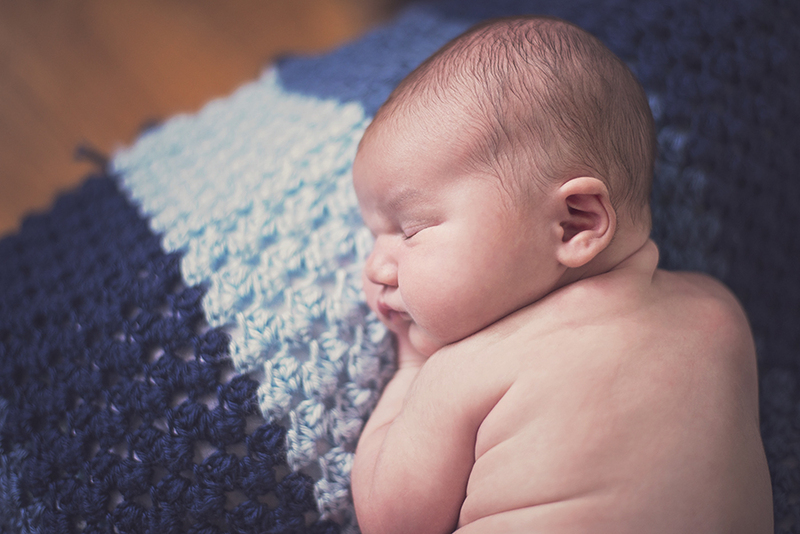 Another sweet baby boy was in the studio - and his session is full of the most adorable baby rolls I have ever seen. This sweet guy was one of my biggest (as in over 10lbs!!) newborns to date, but he was full of sweet cuddles, adorable coo's and the most adorable big brother, ever! We started the session off with some big brother shots. It was very clear these two are going to be the best of friends! We moved into some of my favorite newborn shots of all time. I found a new prop shop, Peeka's Boutique, where I found these adorable little suspenders. They are just the cutest and made for an adorable outfit for little Sammy. We started with a nice, neutral background. Then moved over to the dream cloud prop. We wrapped up the session with some very nice, simple shots incorporating two blankets Sammy's mom requested in the shots. Both blankets have meaning to Sammy and it's so meaningful to incorporate these pieces in newborn photos. Overall, this was one cute session - don't you think?